We’d love your help. 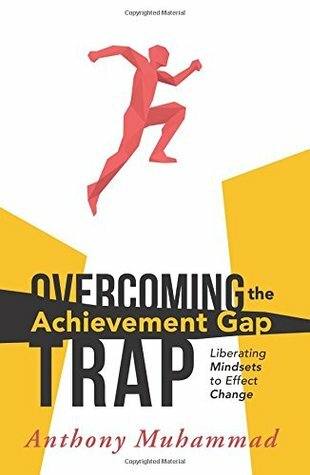 Let us know what’s wrong with this preview of Overcoming the Achievement Gap Trap by Anthony Muhammad. To ask other readers questions about Overcoming the Achievement Gap Trap, please sign up. This book presented some interesting ideas to think about, but it was lacking in application. My overall takeaway was that individual schools can effect change, but national and global educational change are nearly impossible. Taking a deeper look at the achievement gap and what a change in mindset can do to close this gap. Lots of thought provoking ideas brought up that will make an educator rethink things. 3.5 stars. This book makes you rethink equity and access. A call to action to stop excuses and serve our student. Excellent information. But difficult to digest. Muhammad tells us what we need to know and what we know we need to do, but what we are afraid to hear. All educators need to read his works and then take action - no more excuses. No more talk. It's about doing best for our students and the time is now. Nothing new, but places information in one place. Not the best professional book I've read.